Building an addition to your home is a big decision. It requires a lot of forethought and the right team of professionals to make your vision come to life. We are in the business of creating and building the perfect addition every time. 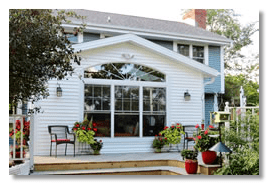 If you’re looking for home additions in Brookfield, Pewaukee, Sussex, Delafield, or Waukesha, we can help! Tell us what you want, and we will make it happen. You must first decide what type of room you’d like to add to your existing home. A growing family may need a new bedroom, or a family welcoming in an elderly parent or grandparent may need a larger addition to fully accommodate their new housemate. Our experienced professionals always welcome a challenge. Our goal is to create the addition you want. We will include you in all decisions that need to be made, so you are involved every step of the way. 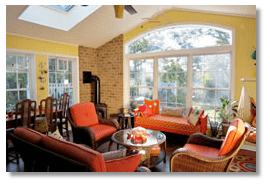 Thinking about adding a sunroom or making other home additions? Call us today to schedule an in-home consultation and estimate! 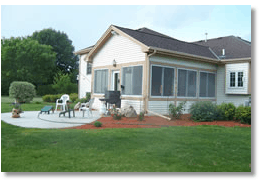 We serve clients in Brookfield, Pewaukee, Sussex, Delafield, or Waukesha County!